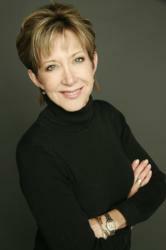 YourDailySuccessTip.com Creator and Chief Tipster Dayna Steele tells the story of how networking led to true love. David Crosby's manager called and asked me to help David adjust to life in Houston. Continually building a network may not only bring new customers and more business, but may also garner unexpected relationships. YourDailySuccessTip.com creator and Chief Tipster Dayna Steele announces this week's top tip about how a hand written thank you note to David Crosby’s manager over 25 years ago produced both a lifelong friend and a lifelong partner. Dayna Steele was one of the hottest rock and roll DJs in the world and was networking to the top one contact at a time when an unusual phone call came. A friendship formed between Crosby and Steele and when it came time for his first interview following rehab, Steele was trusted with the job. Then the favor was returned again about a year later. Twenty-one years later, Steele and Justiz are still happily married with three boys. Dayna now teaches the fine art of networking with YourDailySuccessTip.com as well as through her books and speeches, and still writes at least one handwritten thank you note a week.